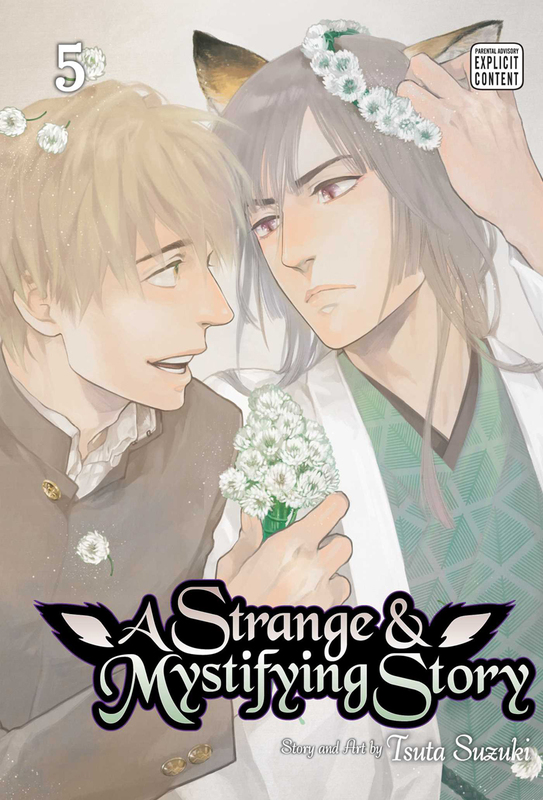 A Strange and Mystifying Story manga volume 5 features story and art by Tsuta Suzuki. 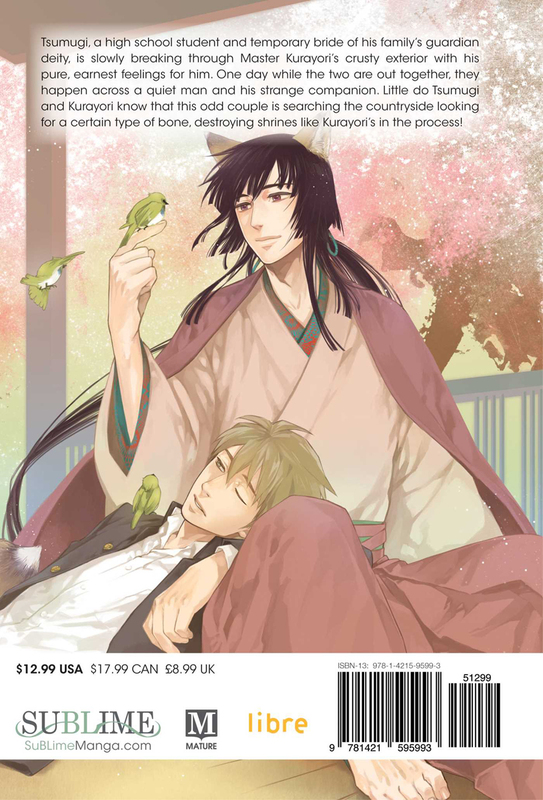 Tsumugi, a high school student and temporary bride of his family’s guardian deity, is slowly breaking through Master Kurayori’s crusty exterior with his pure, earnest feelings for him. One day while the two are out together, they happen across a quiet man and his strange companion. Little do Tsumugi and Kurayori know that this odd couple is searching the countryside looking for a certain type of bone, destroying shrines like Kurayori’s in the process!